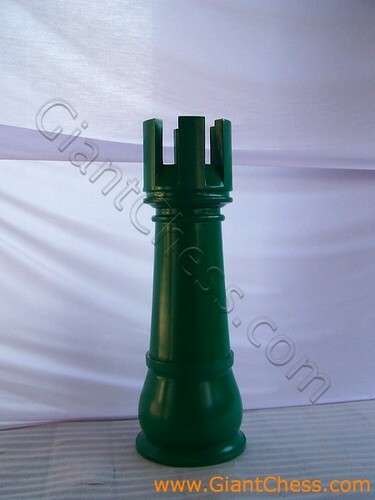 This is an example of our giant chess piece which sized in 72 inch. This Rook chess piece is very tall and heavy enough for move. But because of its giant size, many people use it for outdoor decoration. They often decorate their interesting outdoor area with this giant chess piece. Why outdoor? The answer is only because its size does not allow to be placed indoor. So would be more suitable and attractive if placed outside. Do not worry about damage product, because we had prepare it for that risk. All of our products are made from best quality of Teak wood which has known as the strongest wood in the world. It means that Teak wood product may also durable product for indoor and outdoor use and durable in any seasons. Just try it and select which chess piece that you like.